I have an application for detection of welding seam with a laser line generator. The line is broken at the point where it crosses the seam. Can your software provide a method for detecting the breakpoint in the laser line? Can you please post some images so we can see what your talking about. Please find enclosed a sample pic. Need to detect the point where the metals are joined i.e. where the laser line breaks. Yes, this is possible but given your image which is very badly focused you might not want to use a laser. 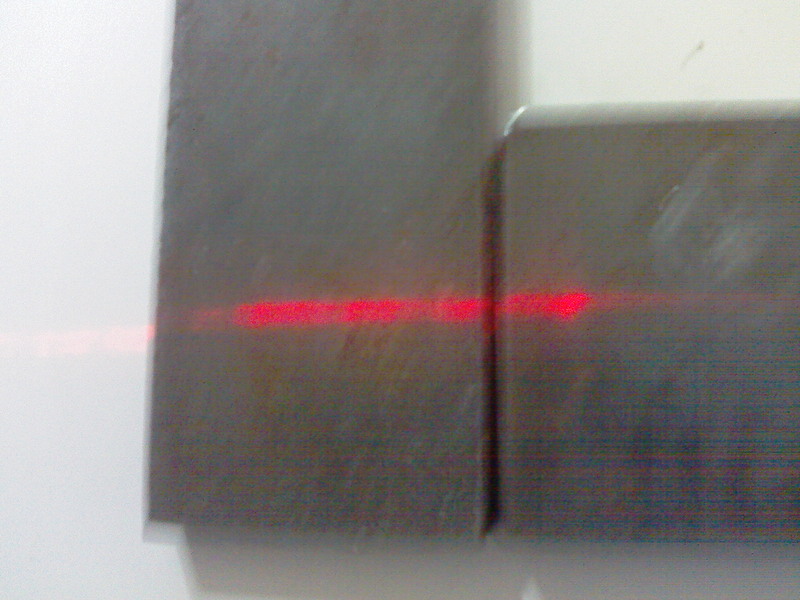 Attached is a quick red filter which shows the break in the laser line. We're not sure what the final intended use is but perhaps that can start as a discussion point.